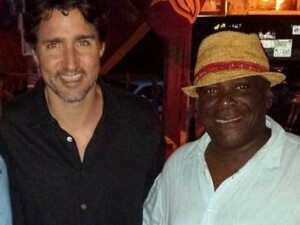 CHARLOTTE AMALIE, St. Thomas, USVI – After returning to the territory from meetings with cruise industry executives, United States Virgin Islands (USVI) Governor Albert Bryan Jr has signed into law, a bill that legalizing medicinal marijuana industry in the U.S. Virgin Islands. Mr Bryan signed into law The Virgin Islands Medicinal Cannabis Patient Care Act, which will allow medicinal use and regulation of cannabis and the regulation of Medicinal Cannabis Provisioning Centers throughout the territory. However, the new law does not authorize the recreational use of marijuana. “I have approved the Virgin Islands Medicinal Cannabis Care Act because it is a step in the right direction toward assisting Virgin Islanders suffering from autoimmune and other debilitating medical conditions,” Mr Bryan said. 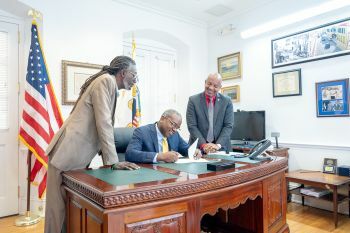 “This legislation also gives effect to a Virgin Islands community-wide referendum held in 2014 that approved the introduction of the medical-use sale of cannabis products by a majority of the voters. 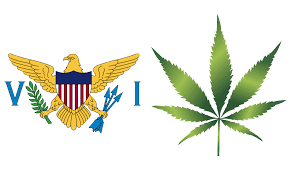 Since the referendum, it is clear that marijuana-use policy in the United States has been changing rapidly in favour of medicinal and recreational use and will continue, even potentially on the federal level,” the territory’s leader said. Even as he approved the measure, however, the governor acknowledged that it will need tweaking. “The Legislature recognized that the bill, as passed, is not perfect and needs more refinement and amendment and provides for an implementation period that we must aggressively pursue,” Mr Bryan said.